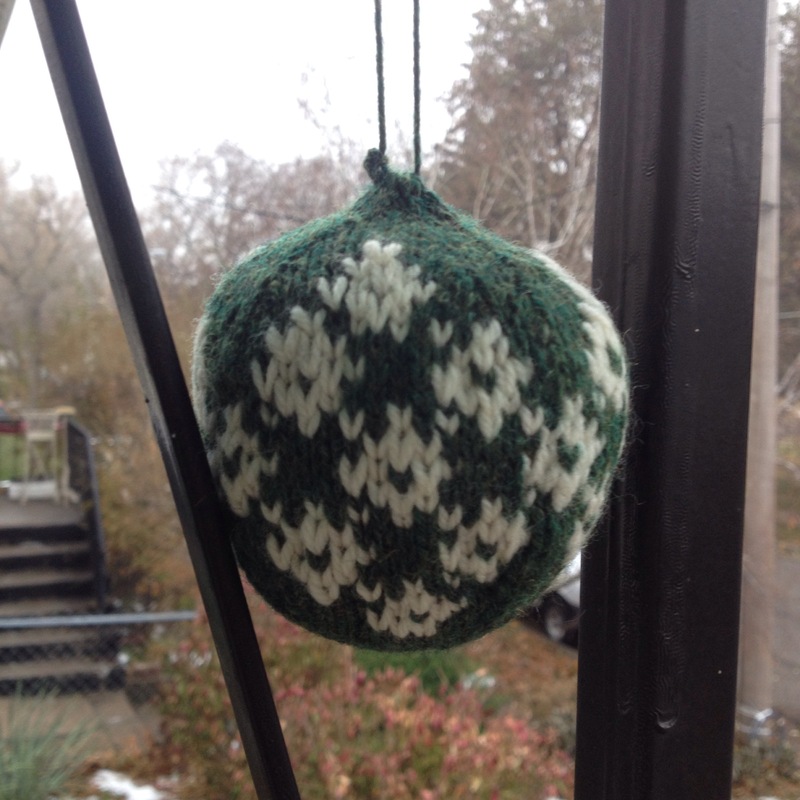 I’ve been a tad bit obsessive about knitting Christmas ornaments this year. 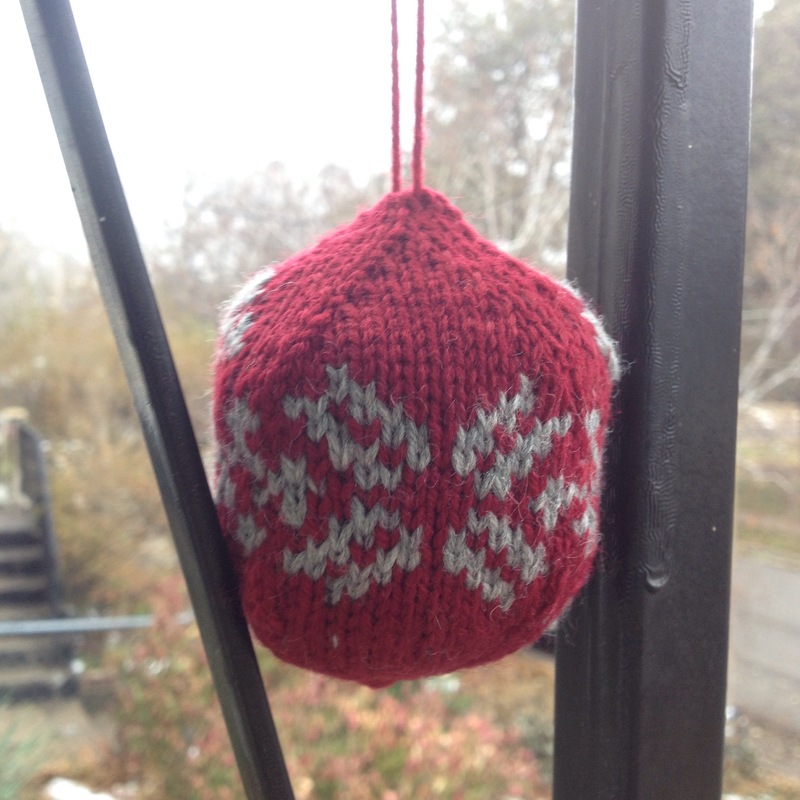 I’ve completed 3 out of the 55 Christmas Balls to Knit book. And, I’ve got another on the needles. The first one I did using the two handed colorwork technique. Basically, I knit with the main color in my left hand and the contrast color in my right hand. I wasn’t thrilled with my result. Meaning, it makes a perfectly lovely ornament, but I felt I could do better. So, I pulled out my colorwork thimble, and started another one. I am particularly fond of the colors on this one. And, the resulting ornament is better as well. More pleasing to my eye. Then I ran out of stuffing, so I was forced to do some more flick carding for scraps to fill the ornaments with. And then I knit another. 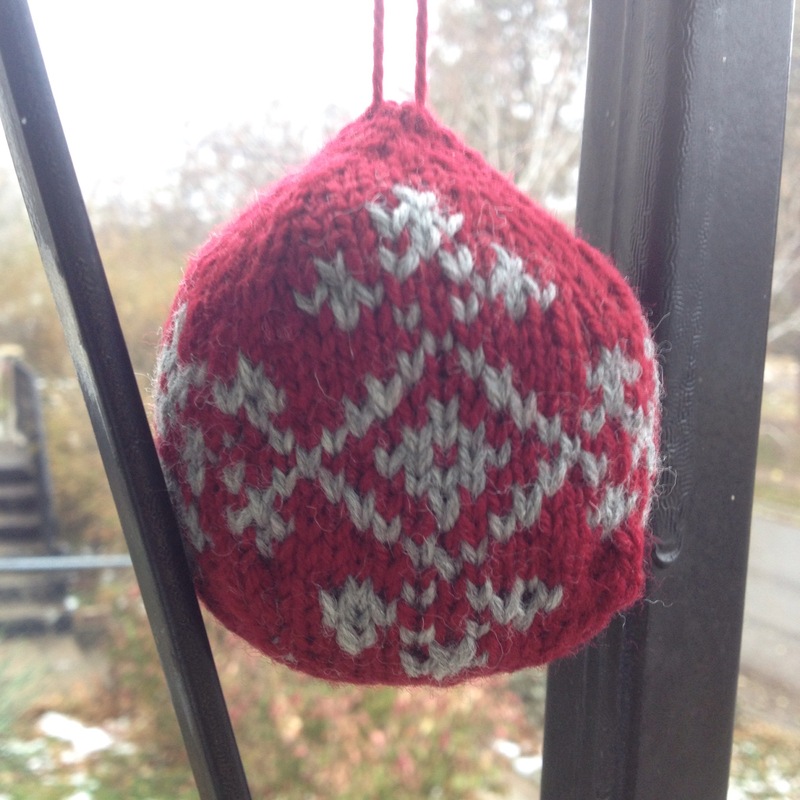 This one I did with the colorwork thimble, but I was also very careful to secure my carried yarn as well. 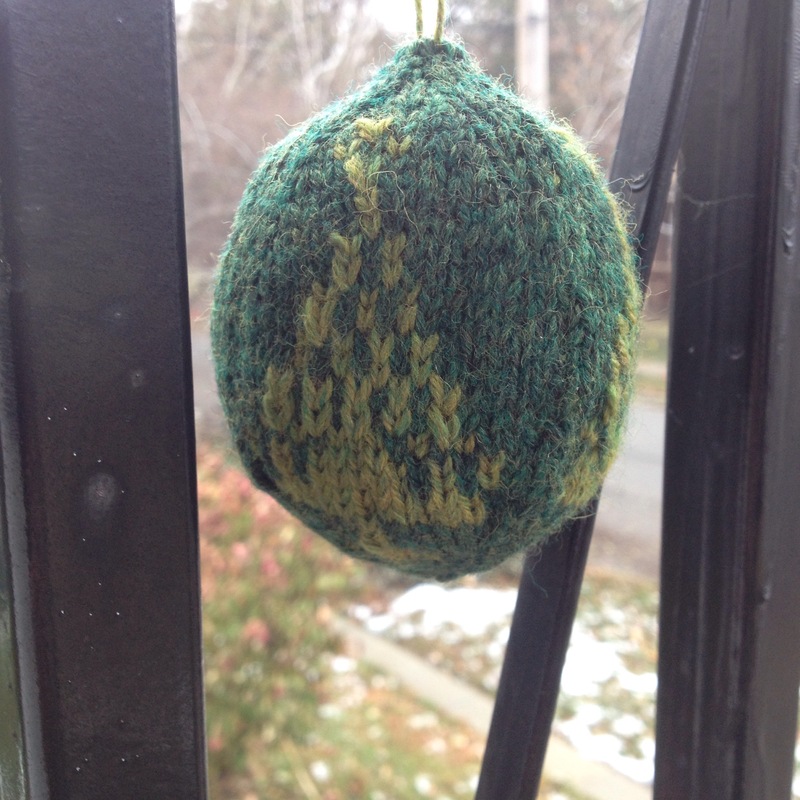 I’ve done more flick carding and I have another ornament on the needles. I think this one will be even better than the ones before. And then Miss Bug has requested a rocking horse ornament so I’ll probably do that one for her stocking. Again, with the little things. Little things are exactly what I want to be knitting at the moment. Ooh, colorwork thimble!? I have wondered how well they work as I hate 2 handing mu colorwork.